Today is International Women's Day. Every year, there are empty promises of empowering women in the political sphere. But the Women's Reservation Bill has been hanging fire for several years now. 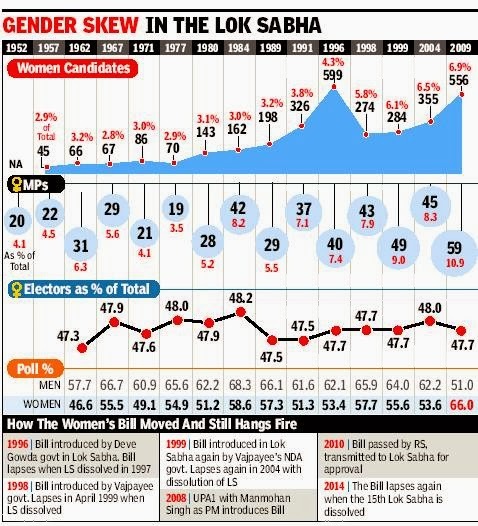 Here's an infographic, sourced from TOI epaper, on the role of women in the circus called Indian political system. In India, crimes against women are seen more as a function of social and economic malaise. Despite numerous laws and rhetoric of strengthening laws against women, crimes against women are rising. Check this infographic, sourced from ET epaper, depicting crimes against women in India.